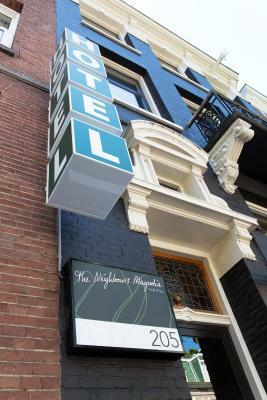 Lock in a great price for Hotel The Neighbour's Magnolia – rated 8.3 by recent guests! The staff was friendly, and the coffee amenities were nice. The staff was very kind and responsive! We also had our laundry done there which was great and very reasonably priced. Convenient location. Friendly staff. Spacious room. Slide out door for my pet to potty right outside. Allowed pets. Amazing reception/lobby area where you can hang out with your group and friends. 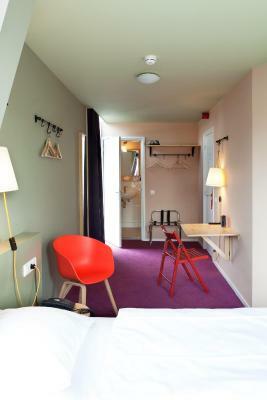 Decent location - easy to take the tram to the city center. 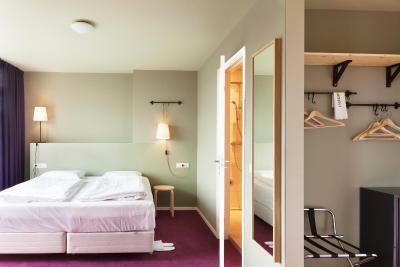 The rooms are clean and neat, with daily room service. Overall, a good place to stay. Excellent quiet location in walking distance to many shops, restaurants and public transportation. The room was spacious and stylish, and the terrace was a bonus. A good selection of hot tea/coffee is available in the office, and the staff was very friendly and accommodating. 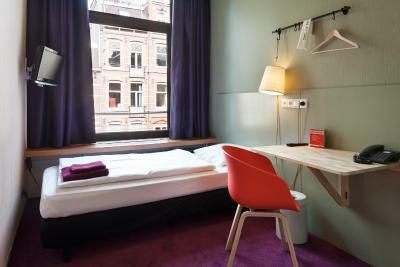 Nice place to stay in Amsterdam!! Great location! Tram is right out front and takes you to old Amsterdam (canals etc. ) nice neighbourhood! Beds are super comfortable, bathroom was super clean as well. Nice and secure. 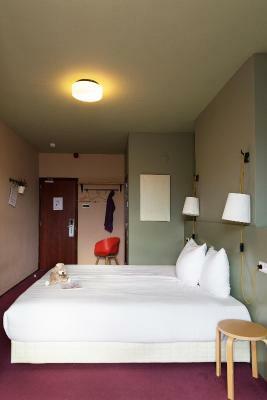 I originally booked intending to stay 3 nights but I loved my room so much that I extend an additional 4 nights. 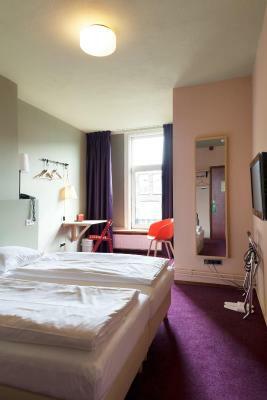 I practically live in hotels, so I was thrilled with the quality and location of the room for the price. 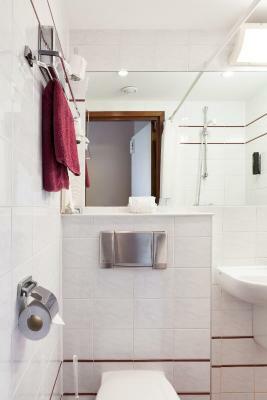 The bed is extremely comfortable and the bathtub is perfect for a soak. The location is perfect for longer stays because you can easily get to all locations without being in the midst of the bustle. 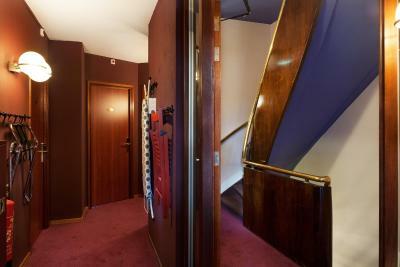 Additional, the room had a dog proof balcony that was perfect for my toy poodle. The staff and room were both amazing. Extra comfort, great value, very friendly and helpful. Hotel The Neighbour's Magnolia This rating is a reflection of how the property compares to the industry standard when it comes to price, facilities and services available. It's based on a self-evaluation by the property. Use this rating to help choose your stay! 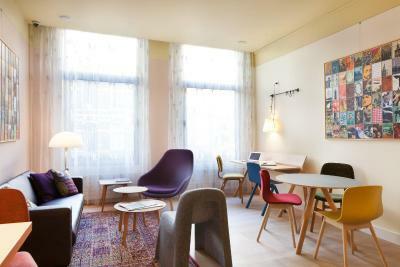 The Hotel The Neighbour's Magnolia is a small dog-friendly hotel located in the cultural quarter of Amsterdam, half a mile from shopping street P.C. Hooftstraat. 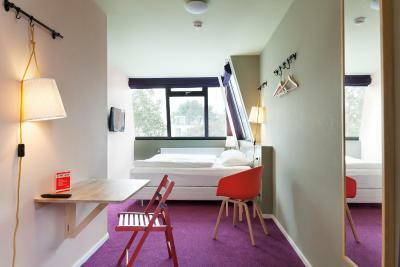 The Museum Quarter is a 10-minute walk away and includes the Van Gogh Museum, Rijksmuseum and Stedelijk Museum. Complimentary tea and coffee is available upon arrival. 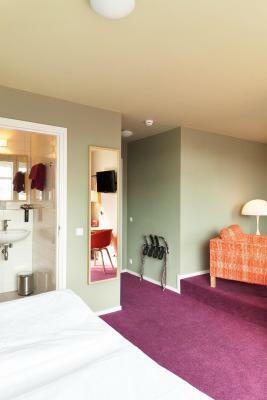 Each modern room at the Hotel The Neighbour's Magnolia is decorated in light pastel shades. It has a flat-screen TV, a desk with a Hay chair and a private bathroom with a bathtub or shower. Some have a furnished balcony or patio, and one has a private rooftop terrace. Free Wi-Fi is also available. 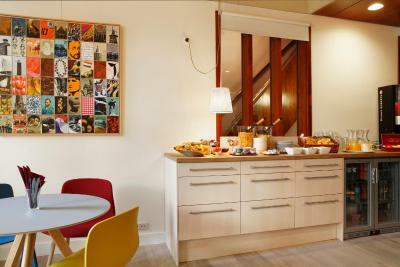 A continental breakfast can be taken in the bright breakfast room overlooking the street. 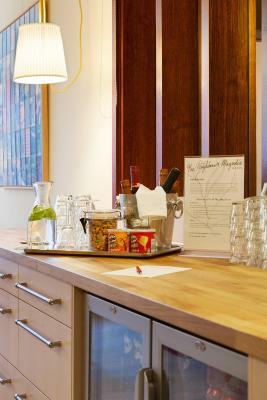 At the Honesty Bar in the lounge, guests can enjoy a Nespresso coffee, soft drinks, beer, wines, savory and sweet snacks. 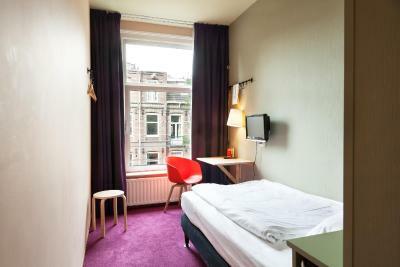 The center of Amsterdam is easily accessible by foot or by public transportation. Entrance tickets to various points of interest are available at the front desk and bicycles can also be rented (reservation required). Vondelpark is a 3-minute walk from the property. The VU Medisch Centrum and ACTA can be reached in 15 minutes by bus and Schiphol Airport is 8 miles away. The World Trade Centre is just over 1 miles from the property, and RAI is less than 2 miles away. 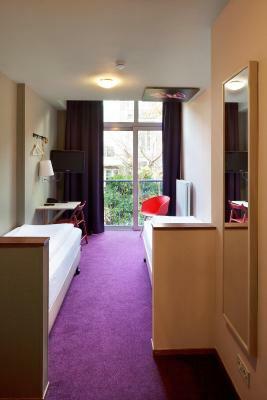 When would you like to stay at Hotel The Neighbour's Magnolia? 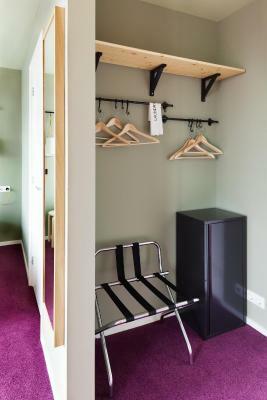 This stylish room features a flat-screen TV, a desk and a private bathroom with a shower or bath, a hairdryer and complimentary fair trade toiletries. Free Wi-Fi is available in the room. 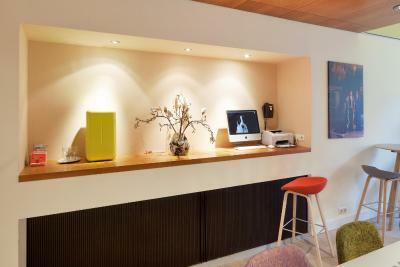 This stylish room features a flat-screen TV and a desk. 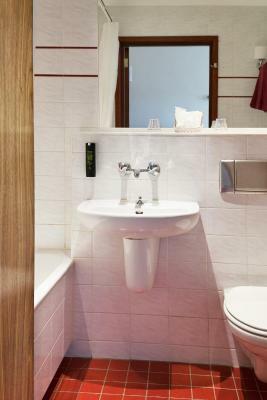 The private bathroom is fitted with either a bathtub or a shower, a hairdryer and complimentary fair trade toiletries. Free Wi-Fi is available in the room. Please note that extra beds are not available in this room type. Cribs are available. 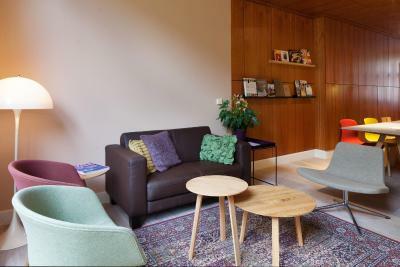 Hotel The Neighbour's Magnolia is a unique three star boutique hotel in Amsterdam Oud-Zuid. 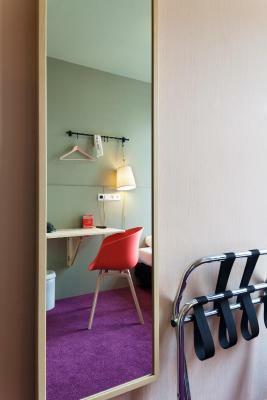 Here you have all the benefits of a hotel, but with the friendly atmosphere of home. 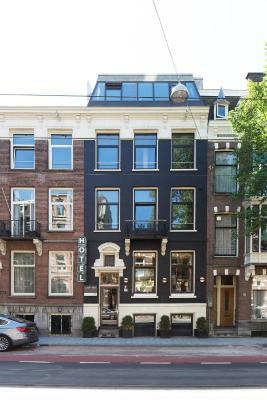 It is located in the Fashion and Museum district of Amsterdam. Everything you need is in the neighbourhood. Hotel The Neighbour's Magnolia is one of the very few remaining family-run B & B hotels in the city and is not part of a chain or group. Our guests leave with a memorable experience and love to come back to this hotel where everything is always done with a twist and a smile. 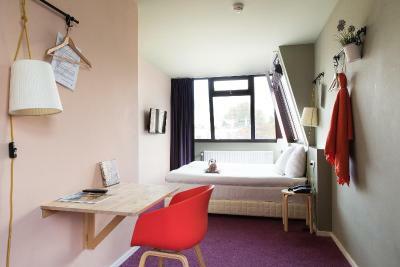 The cosy boutique hotel features 21 restyled modern rooms in soft pastel colours, with large beds, a desk with a brightly coloured HAY chair and a flat-screen TV. 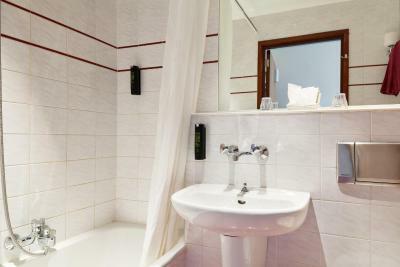 Each room has a private bathroom with shower or bath. 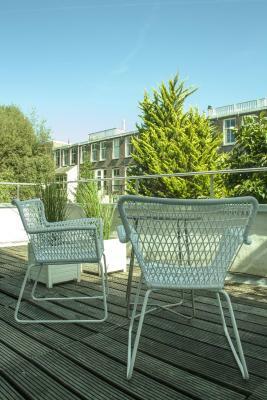 Some rooms have a balcony or terrace overlooking the garden. 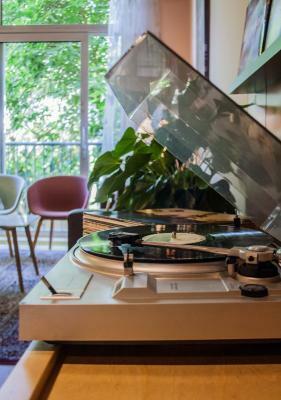 The décor of the rooms is inspired by the magnificent magnolia tree in the garden of the neighbour which can be enjoyed from the LivingRoom lobby. 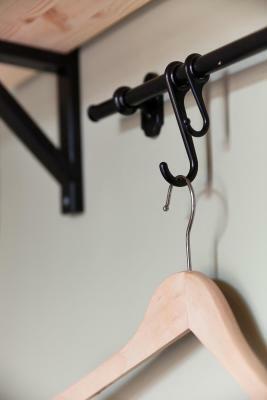 Regular in-room items like a minibar, artwork and closet are re-invented. 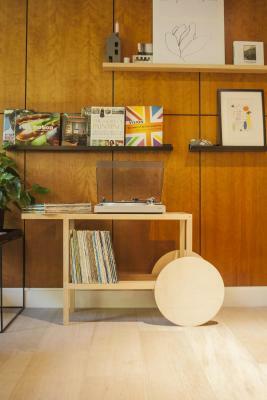 House Rules Hotel The Neighbour's Magnolia takes special requests – add in the next step! ATM card Hotel The Neighbour&#39;s Magnolia accepts these cards and reserves the right to temporarily hold an amount prior to arrival. Hotel The Neighbour's Magnolia accepts these cards and reserves the right to temporarily hold an amount prior to arrival. Public parking is available on the street in front or near the hotel for EUR 4 per hour. The second nearest public parking is at the Olympic Stadium, 3 tram stops from the hotel. Please note that parking is available at P+R parking garage Olympisch Stadion. Charges apply. This hotel was previously known as the Hotel Zandbergen. Please inform Hotel The Neighbour's Magnolia of your expected arrival time in advance. You can use the Special Requests box when booking, or contact the property directly using the contact details in your confirmation. No lift The lighting inside the room was inadequate. Dark glooomy room. The stairs are very steep. The hotel wouldn't suit anyone with mobility issues. Friendly, helpful staff. Easy and quick to get to museums or into the centre by tram. The room was a good size, clean and light. 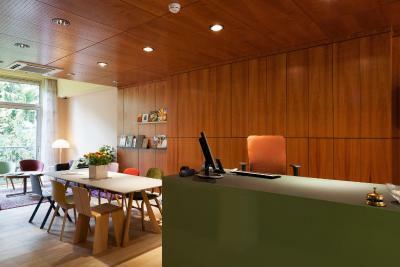 The reception/breakfast area is very comfortable and a pleasant place to sit and have a coffee. The steps up to the second floor were very steep. I had difficulty always getting on to the wi fi in my room. The bed was comfy. The room was quiet and warm. Liked having kettle in room and free tea coffee hot chocolate downstairs. Location was good and the dining/sitting area was pleasant with fresh flowers and fruit. Staff very friendly. A small, but very clean and tidy room. Relatively quiet street, but almost at the city center. 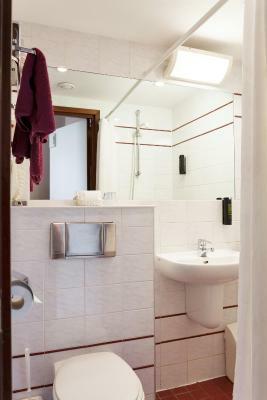 Less than an hour walking distance from the central railway station, also in a direct vicinity of public transport. As advertised there were several flights of steep stairs at this property. Not a negative for us, but just a word of warning for anyone with larger luggage or mobility issues. The hospitality of the place more than made up for this. Breakfast was delicious, staff very welcoming, beds lovely and comfortable and the hotel was well placed but in a quiet residential area. Felt very homely. The room wasn't as clean as we expected, and toiletries weren't replenished. 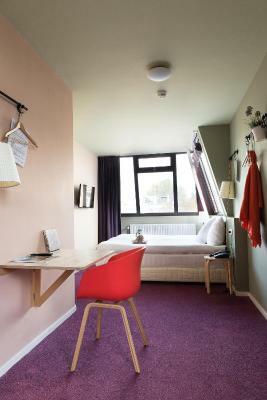 The lightning in the room was very poor, lightning in the kitchen didn’t work, carpet looks very dirty, beds are ok to sleep on but not that comfy, the room is a little outdated and definitely needs to be refurbished. 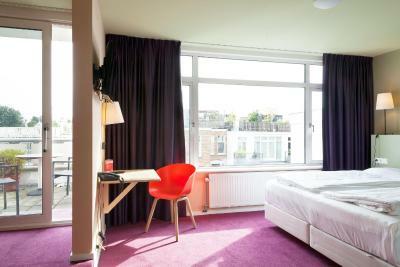 The room were I stayed was big and had a balcony with garden view, room was clean, enough mirrors, nice neighbourhood, tram stop at walking distance, kind and helpful staff. Acommodation is good enough to spend there one night. Beautiful situated in a quiet clean neighbourhood. Close to vondelp. Very relaxing. Large and comfortable bed. Nice view on the garden. The location is truly superb. The park is right there and delicious cafes and restaurants are a short walk away. The architecture of the area is also stunning!